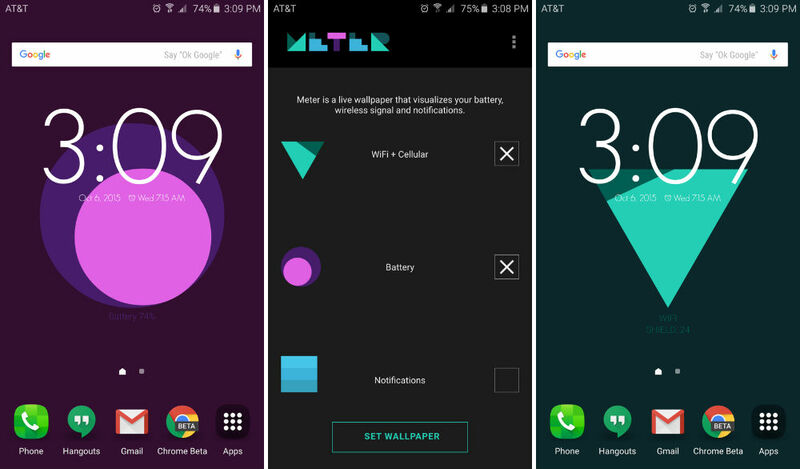 The Google Creative Labs team published a new live wallpaper app called Meter to Google Play this week, one which visually displays your active WiFi connection, battery status, and even notifications right on your home screen. When applied, the wallpaper uses your phone’s gyroscope to make the image move, giving a sometimes liquid appearance. The colors are not customizable, which would be nice, but are bright, and text is easily legible. In the app’s description, the team states it can be used to display real-time statistics, such as app usage and other various stats from the device. In addition, the wallpaper’s source code has been uploaded to GitHub, allowing anyone to tweak it as they see fit.